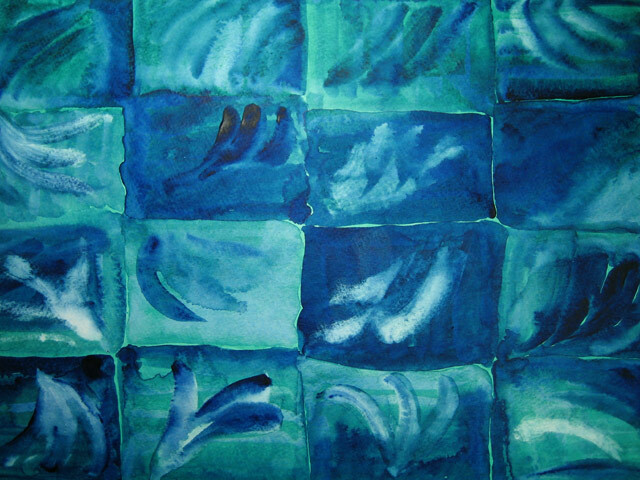 I began this painting with an overall flat wash of viridian, covering the entire surface of the quarter-sheet of paper. A flat wash requires a steady hand and good timing in applying the wet paint: excellent practice for me! After the wash was thoroughly dry, I started painting the sequence of today's 16 blocks with varying dilutions of prussian blue, using a wet brush to remove the underpainting or simply painting over it. I discovered that a sufficiently wet brush and enough pressure would remove two layers of dried paint, so there are several areas where I have scrubbed back to the white surface. This effect is similar to Day 6 in Layers: Transparent Washes, but this time it's not an accident, and the brushstrokes make it a lot more lively. Very pretty. It does look lively. 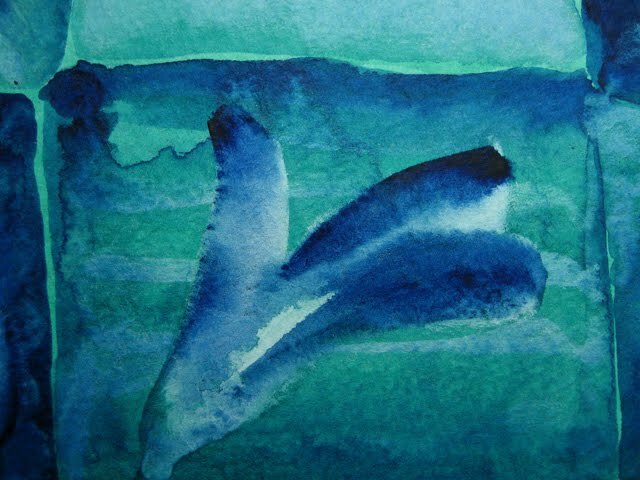 Prussian blue is such a great color in watercolors. I like your work. Also, it's nice to learn from your description of what techniques you used.